A prominent Florida pastor has called on Mitt Romney to renounce Mormon doctrines that are severely prejudicial against the black race. Reverend O'Neal Dozier sees the offensive, anti-black Mormon doctrines as a ticking time bomb that the Obama campaign will undoubtedly use to rally its base among African-Americans. He has published an open letter asking Dr. Richard Land, President of the Ethics and Religious Liberties Commission of the Southern Baptist Convention, to join him in asking Mitt Romney to "renounce historic Mormon racism." 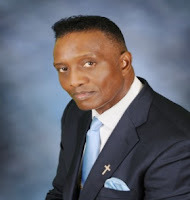 Reverend Dozier, Senior Pastor of The Worldwide Christian Center Church in Pompano Beach, Florida, is also a former professional football player with the Chicago Bears and has been a friend and advisor to President George W. Bush, Governor Jeb Bush and former Florida Governor Charlie Crist. First, let me thank you for your years of service to our Lord on such critical issues as the Right To Life and the Defense of Marriage through your leadership at the Ethics and Religious Liberties Commission of the Southern Baptist Convention. Many across our Nation have now heard your recent words of commentary that the President has "poured gasoline on the racialist fires" in his comments on the Trayvon Martin case and that Black leadership has exploited the case in an effort to "gin up the black vote for an African-American president who is in deep, deep trouble for re-election and who knows that he cannot win re-election without getting the 95% of the blacks who voted for him in 2008 to come back out and show that they are going to vote for him again." As an African-American pastor in the state of Florida, I grieve for this tragedy, witness that emotions are understandably running high, and seek above all that truth be known and justice done. I write today specifically regarding your accurate comment on Obama receiving 95% of the black vote in 2008 and my contention that he could absolutely receive that same % in 2012, not due to the President’s policies, but due to the indefensible and historic doctrinal black racism of Mitt Romney's Mormon Church which makes God Almighty the ultimate racist and doctrinally calls black skin a "curse" upon those who were "less than valiant" in a pre-existent life. Consider the following quotes from Mormon scriptures, prophets and leaders and ask yourself: How can Mitt Romney or the GOP expect African-Americans to support his candidacy when his Church (for whom he has been a Bishop, served in foreign missions, performed posthumous baptisms, and conducted secret Temple sealings) has considered the very color of black skin as evidence of a God pronounced "curse?" 1. Journal of Discourses: Brigham Young, vol. 7, p.290-291: "Classes of the human family that are black uncouth uncomely disagreeable and low in their habits wild and seemingly deprived of nearly all the blessings of the intelligence that is generally bestowed upon mankind the first man that committed the odious crime of killing one of his brethren will be cursed the longest of any one of the children of Adam. Cain slew his brother. Cain might have been killed and that would have put a termination to that line of human beings this was not to be and the lord put a mark upon him which is the flat nose and black skin." 2. The Way to Perfection: Joseph Fielding Smith, Salt Lake City, 1935, pp.101-2: "Not only was Cain called upon to suffer, but because of his wickedness he became the father of an inferior race. A curse was placed upon him and that curse has been continued through his lineage and must do so while time endures. Millions of souls have come into this world cursed with black skin and have been denied the privilege of the Priesthood and the fullness of the blessings of the Gospel. These are the descendents of Cain. Moreover, they have been made to feel their inferiority and have been separated from the rest of mankind from the beginning." 3. Pearl of Great Price: Joseph Smith, The Book of Moses 7:22: "And Enoch also beheld the residue of the people which were the sons of Adam; and they were a mixture of all the seed of Adam save it was the seed of Cain, for the seed of Cain were black, and had not a place among them." 4. Juvenile Instructor, vol. 3, p.157: "A black skin is a mark of the curse of heaven placed upon some portions of mankind." 5. Journal of Discourses: Brigham Young: vol.10, p.110: "Shall I tell you the law of God in regard to the African race? If the white man who belongs to the chosen seed mixes his blood with the seed of Cain, the penalty, under the law of God, is death on the spot. This will always be so." This repugnant doctrine has never been denounced by Mormon Church leadership or removed from Mormon works. In 1978, as you know, the Church changed its practice of denying male blacks full membership or "priesthood", but the doctrinal "curse" of black skin has never been repudiated-to do so would fell their entire theology and claim to Truth. And what of Romney's response to Americans publicly questioning him on this doctrine that stands in direct opposition to Dr. Kings profound Dream "that one day, [our children] will live in a nation not judged by the color of their skin, but by the content of their character"? 1. 12/17/2007: Mitt Romney/Tim Russert Meet the Press interview on Mormon Racism: (note: Russert does not ask about doctrine, only practice) Romney asserts "I certainly believe that it is a faith [Mormonism], well it's true". At interview's end, Russert states "but your Church was wrong to exclude them [blacks] for so long?" Romney refuses to answer saying only "I've told you exactly where I stand." Declare to this Nation that the words of Brigham Young and Joseph Smith quoted above are not now nor were they ever true. Affirm that it has never been the case that God judged peoples from a pre-existent life in such a way that if they were "less than valiant", a "curse" of black skin was put upon them in this life. With African-Americans making up over 10% of the registered US voting population, there are over 20 million potential voters that deserve an answer to these questions. As an African-American conservative, I have every expectation that Barack Obama would use such facts to the strong detriment of the Republican cause in the general election. It is important this issue be addressed in the primary as our silence now will only prove deafeningly destructive to our cause for real conservative victory for ALL Americans in November. Again, thank you for your ministry in the name of our Lord Jesus Christ. I look forward to your response.